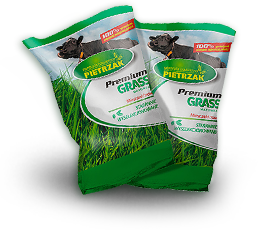 Centrala Nasienna Pietrzak has been manufacturing specialized grass mixtures developed in accordance with the requirements of the State Inspection of Plant Protection and Seeds. Our seed meets all polish norms and the standards of the European Union as well. Our customers in Poland and on the international markets become a guarantee of the highest quality of our products. Our seeds are used in many different industries. For our customers we provide at individual order - the possibility to compose your own grass seed mixture composition. At every stage of cooperation we serve you with our expertise and experience gained over the years. creeping whitish and other species.